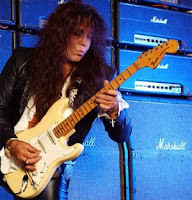 Legendary Swedish guitarist Yngwie Malmsteen is no longer a DiMarzio endorser. DiMarzio, the Staten Island, New York-based company that produces magnetic pickups for electric guitars, will continue to manufacture the pickups and guitar straps that Yngwie endorsed minus the YJM designation and, in some cases, with a change in the model name or part numbers. * The DP217 (formerly the YJM) is now called the HS-4. Only the name has changed. * The YJM ClipLock (DD2230YJM) and YJM Standard Guitar Strap (DD3310YJM), are now named the Cheetah ClipLock (DD2230CH) and Cheetah Standard Guitar Strap (DD3310CH). Only the names have changed. * The pre-wired pickguard YJM Setup is now named the HS Setup and contains the HS-4 (formerly YJM) in the neck and middle positions and the HS-3 in the bridge position. Only the name has changed. * The Yngwie Malmsteen Signature Cable has been discontinued. Wow, I’m surprised by this! But I’m glad the pickup models will continue to be made (and that you can still get cool cheetah straps!). Speaking of DiMarzio, CLICK HERE for my review (with audio) of the DiMarzio Crunch Lab and LiquiFire John Petrucci signature pickups. I’ve also written a review of the Area J bass pickups and that’ll be on the site early next week after I’ve finished the audio clips. 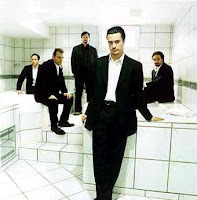 NEWS: Faith No More reunion! One of the first singles I ever bought (back when vinyl was current rather than kitsch) was Faith No More’s ‘Epic.’ Actually I think it might have been a Christmas present from my older brother. Anyway, back then, in the heady days of 1989, Faith No More were an absolute head****, and even moreso when they released Angel Dust a few years later. 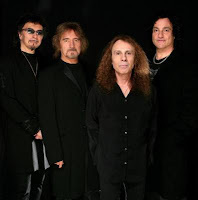 I was fortunate to see them in 1997 on their last tour, and I’d very much resigned myself to the belief that they’d never play together again. Even recent talk of a reunion sounded like another of those rumours that swell up and die off without fanfare. Former FAITH NO MORE singer Mike Patton’s publicist has confirmed that the hugely influential ’90s alt-metal band will reunite for a summer tour. At the moment, it appears that the group will only perform in Europe and there are absolutely no plans to tour the States. As previously reported, a source close to guitarist Jim Martin, who was in FAITH NO MORE from 1983 until 1993, has told BLABBERMOUTH.NET that the axeman expressed interest in taking part in the reunion after being recently contacted by keyboardist Roddy Bottum and a member of FAITH NO MORE’s management team, but that the band inexplicably decided to utilize a different guitarist — believed to be one of several musicians that were in FAITH NO MORE following Martin’s exit from the group — for the upcoming dates. For those into the growlier side of axemanship, check out the new 2009 Kerry King Beast V model from B.C. Rich. The Beast V combines the Beast and Speed V body shapes (kinda like the Gibson Zakk Wylde ZV, which combines the back of a V and the front of an SG. For more information, see Dean Splittail). The Beast V NT have neck-through construction, active B.C. Rich pickups and a Khaler Tremolo. The standard Beast V will have a string-through/tune-o-matic bridge setup and B.C. Rich B.D.S.M. humbuckers. I met Kerry about 7 years ago at a CD launch party for Machine Head, who were supporting Slayer on an Australian tour. Once upon a time I was way into Slayer, so I marched over to him and said “Hey man, it’s so cool to meet you, I used to play ‘Dead Skin Mask’ in my high school band.” He looked me up and down and said “Yeah, but I bet you didn’t play it right.” What? Here I am meeting a dude I rocked out to big-time when I was 15, and he was cussing me out? I shot back “Dude, I could show you how to play it right.” I immediately realised the folly of what I’d done: though he’s shorter than me, he’s shorter in the way that a pitbull is shorter than a standard poodle. As the terrible reality started to sink in (preceding in short order, I was sure, the sinking of Kerry King’s fist into my temple), I quickly changed the subject, telling him I was excited about the following night’s Slayer/Machine Head gig because I’d never had the chance to see Slayer before, as I grew up in a small town a million miles away from anywhere they’d ever played. He said this was no excuse. At this point I bade him farewell and shuffled off to chat with some dudes who ran a metal show on public radio – while keeping one eye on Kerry King, lest he send his Slayer-fan minions to pummel me in the parking lot.